In this short post, find out how to bind click event in Angular 2. ngClick is used in Angular 1.x to bind the click event but things changed in Angular 2. One of the major change in Angular 2 is, that it directly uses the valid HTML DOM element properties and events. So take the HTML event and wrap it with parentheses. So with Angular 2, use (click) to attach a click event in Angular 2. Read difference between Angular 1.x and Angular 2 to know more about other differences. Let’s create an application to demonstrate how to bind click event in Angular 2. This sample application will just increase a counter on every click and display the same the on-screen. Let’s first declare a class which will have clickMe() method and a property named msg. Along with these 2, it is also having nCnt variable, which keeps track of the number of clicks. Here, nCnt variable data type is number. This is how you define variables in TypeScript. So within the method, increase the counter by 1 and set the new value in msg property. And now add some metadata to our class using @Component annotation. The @Component metadata object has two fields, a selector, and a template. The selector specifies an HTML element that represents the component. A button having a click event, which calls to clickMe() method. A paragraph tag to show msg property. And here is the output of the application. You can take a look at complete code at Plunker. I have one question, I want to use this code in my website but in this when we reloads page the count of clicks gets restart from 0 how to set that increasing means if last person clicked 8 times then next person who comes to that page should get count of 8 and when he clicks it should goes on like 9 10 11 like that. So for this kind of situation what changes should be done in coding please can you help me? To apply this, you need to store the last count somewhere.. Probably in client storage or database.. so next time when page loads, it loads the last stored value. THIS IS NIDHI. I M BIGGINER TO ANGULAR2, I AM FACING ONE ERROR PLEASE GIVE ME SOLUTION OF IT. app/complexForm.ts(1,26): error TS2307: Cannot find module ‘angular2/core’. 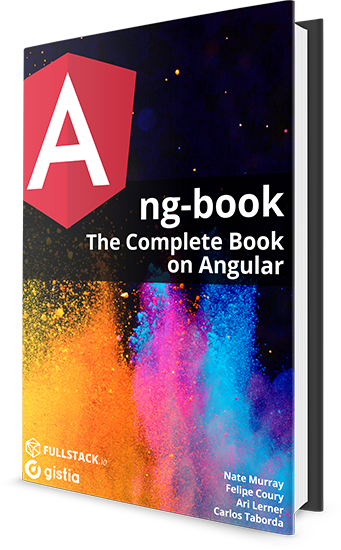 Make sure that you included the angular core library and bootstrapped it properly.